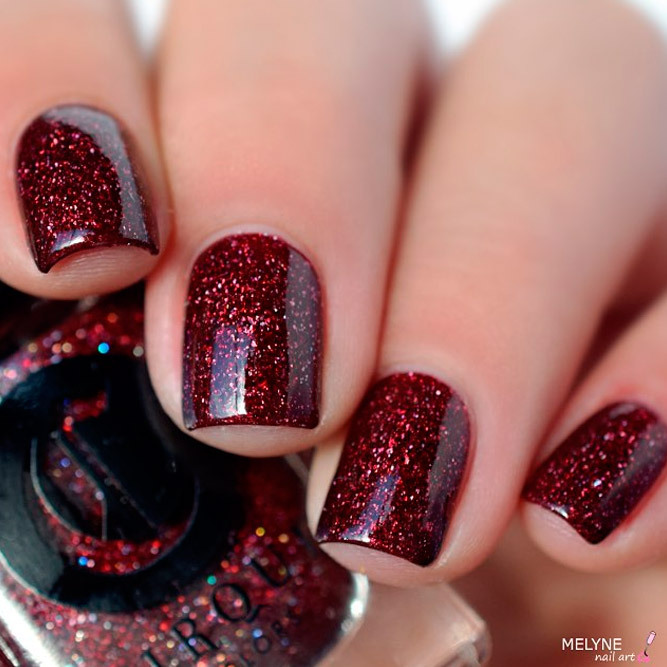 Burgundy nail polish is a great choice for those women who are sick and tired of lovely pastel colors on their nails. These bloody hot burgundy hues are really a great choice. They look friendlier than black nails and are darker than red ones. Their wine hues can be even romantic sometimes. Because of their darkness, the bloody burgundy nails look elegant and posh. They can suit any occasion and different clothes because of that. If you now want some inspiration, you better scan the following top trendy designs. Burgundy nails always look luxurious. Just scan these short nail art ideas and choose any for you. Square nail designs with wine hues are great for those women who always wish to look awesome and luxurious. These nail designs are extraordinary, unique, superb – pure perfection! 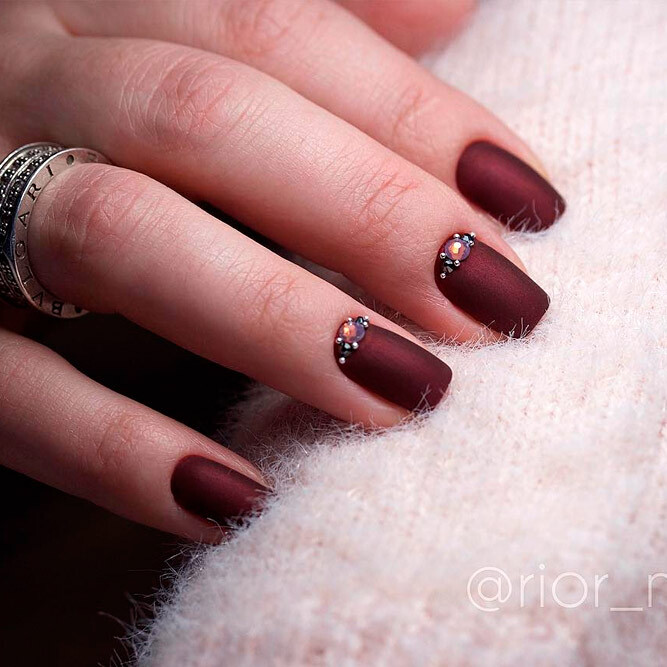 Awesome combination of dark burgundy, glitter and stamping makes this design look super elegant. Superb combination of colors! Long nails look super luxurious with this color. A simple and easy design with perfect polish colors. Make your nails ready for hot summer days.